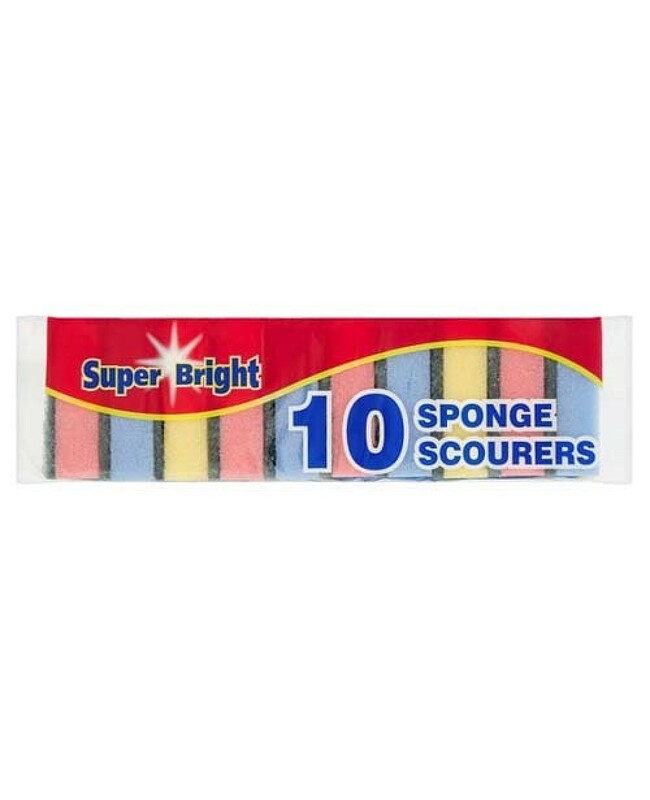 These Super Bright Sponge Scourers Are Effective At Removing The Toughest Of Stains Off Your Cookware, Dishes And More - Try Today For Efficient, Easy & Effective Cleaning! Pack Of 10 x 10. Unsuitable For Non-Stick Cookware Or Sensitive Surfaces. Removes The Toughest & Most Stubborn Stains. Designed For General Purpose Cleaning. Ideal For Cleaning Dishes, Pots etc.